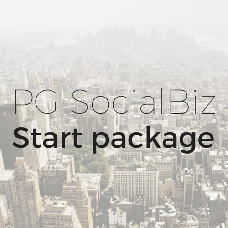 SocialBiz Start package consists of the core modules of the social script and the extra options. The core modules alone let you build a sustainable social network. They include: user and admin panels, paid services, packages, a payment option, media upload tools, mailbox and instant messenger, moderation and blacklist functionality, SEO tools, and more. The extra add-ons come with the package and help site members meet and communicate thanks to the following features: recent activity wall, friends list, likes, sharing and commenting via social networks, and more. Responsive design theme will let your site members connect from their mobile devices and enjoy the site functionality in full measure. View the detailed list of the product modules that are part of the Start package on the packages comparison page.